Some thoughts on the Zeeko Spitfire XXLW. For my weight, I found the original zeeko wings too small. The XLW wings were much better, but I found them a little to fast in the surf. So I decided to grab the XXLW unit (thanks RAL INN). I have the 60cm mast and I attached the foil to my Naish Hover 155. It took me about three minutes to work out the new balance points (have been riding the Naish Surf Thrust for last 12 odd months). Once I fugured out the balance points, I had no issues at all riding healside, toeside and gybing. I did breach quite a bit over my 44km ride which typically resulted in a big slap down nose dive. I recovered about 25 percent of the time from the breaches. I would recommend the 70cm if you are going to kite foil, and hopefully Zeeko will bring out a 90cm mast. I proceeded to take the Zeeko out into the one to two foot runners and it is super fun. Speed was generally under control as you pushed down the wave and it was easy to turn back into the wave. Really nice and lively in turns/carving. It pops up very easily at low speeds and had a top speed of around 30km/h. I found it pretty easy to ride high for sand bar crossings. Happy to recommend this beast for kitesurfing. So which wing on his Spitfire is the Stabiliser? Thanks for that I thought he had me. I was going to say BT could just put a shim under one foot but some people might try that. Here I go, nearly have the Shimmeister bluffed, then along comes the fun police. Shim the mast. Solves all the problems. I shimm everything for a better aoa. Perhaps this should stop now as many get deleted. At 72 in Sep I need all the banta I can get. I am aiming at world champing by 74 and as a minimum humbling Big T and Ral Inn. Perhaps the mods need to be shimmed for greater stability...? What is funny is he took up foiling at 70/71 years of age. Doing pretty well at it too. Hope I am able to do the same. The rate I'm going, just to catch up the dozen years, by then I'll need bionic knees, ear transplant ( surfers ears) and a super easy wetsuit to get in and out of for the number of times I'd have to pee. Shimming has helped my progress. got a local at my spot, 72 and took up foiling three years ago but was slow to catch on. But mostly his issue was in building his own and not really knowing what works. Now after having others foil he has looked at wings and improved his setup and is riding really well. Hats off to him. Wasn't Shimming a 60's disco dance? But wait! Warwickl would know about that. The next batch of XLW wings will be AVS equiped. This thread has developed a bright shimmer! In the credits at end there may be some Shimmering going on. I am now at Burleigh Heads and tropical conditions- almost took off my tee shirt. No shimmering here. Please remember that this is a Surf/Sup foil. SUP with kite?? Gotta be easy/safe way to learn to foil. 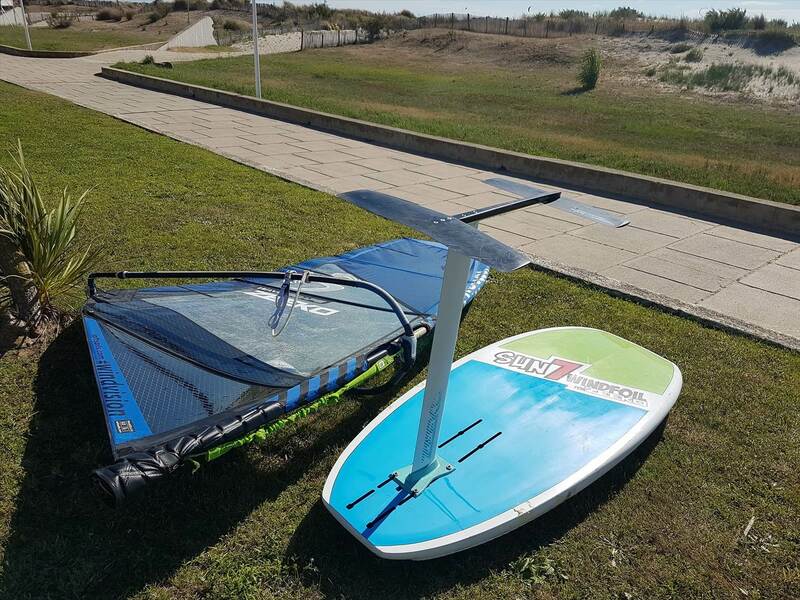 Do you mean SUP foil on a kite foilboard or learning to foil on a SUP with a foil attached ? There's a fellow at my local that kites on a sup foil, he reckons it's much easier to ride than kite specific foils. I think the bigger foils I have tried are much easier to ride/learn than the smaller ones. So the XXLW Spitfire is spreading its influence.